We start a new chapter aimed at improving our source code structure. Over time, our code layout has gotten a bit messy. 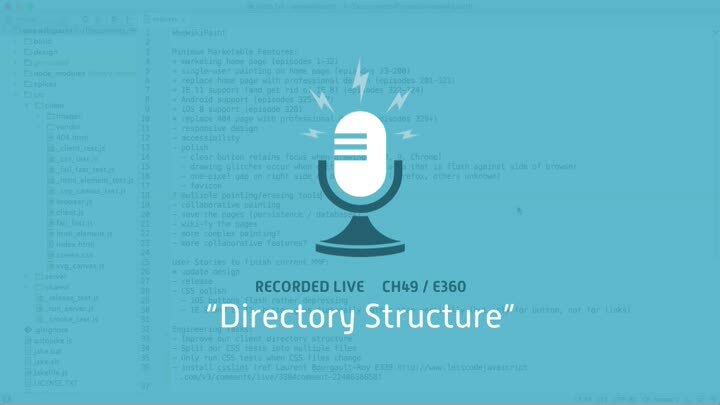 We review where everything’s at and discuss how to improve it, then get started by renaming our build target directory—which isn’t quite as simple as it might seem.